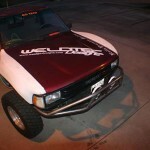 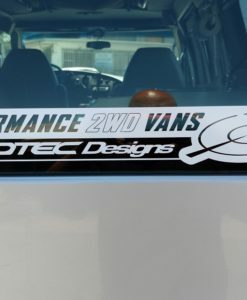 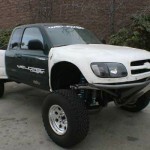 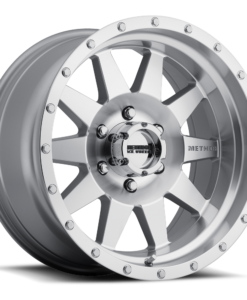 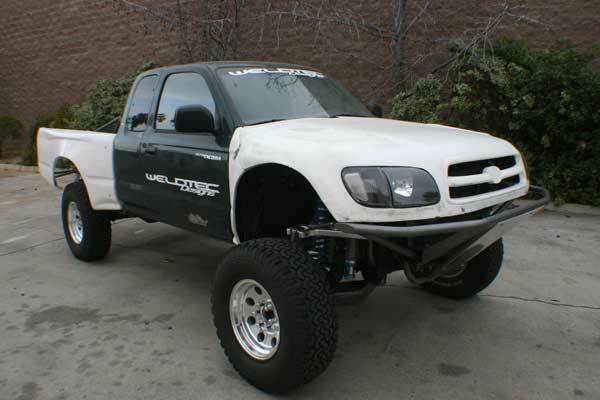 The Weldtec Designs long travel lit is the ultimate performance kit for your two wheel drive Toyota truck. 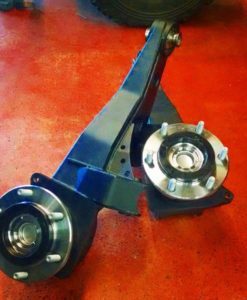 This kit is will give you 20� of wheel travel and is 5� wider in the a-arms and 1.5� wider in the spindle for a total increased track of 13�. 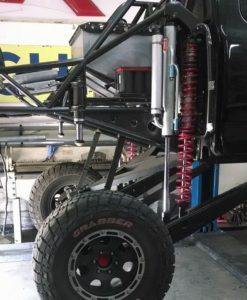 The lower A-arm is a cromolly boxed design which is internally gusseted for incredible strength and bolts to the factory mounts. 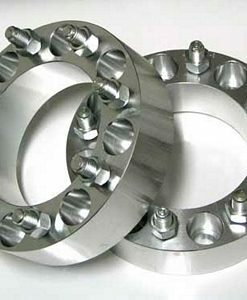 To mount a parallel uniball, a specially designed CNC uniball cup was made to house the 1.25� uniball. 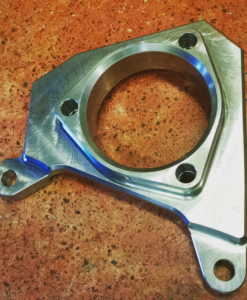 The stock spindle is replaced with our custom fabricated cromolly boxed spindle which houses a 1.25� uniball for the upper control arm pivot. 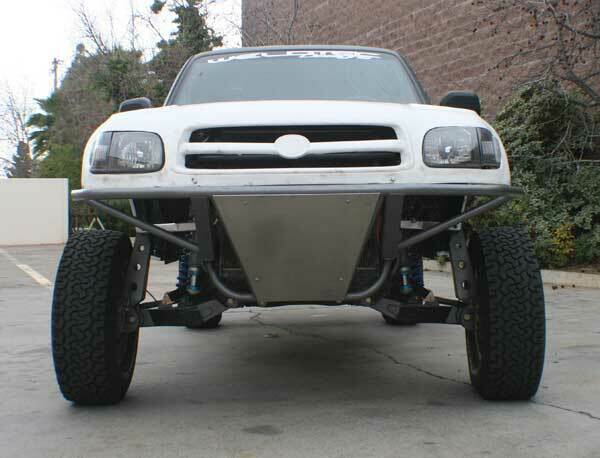 A specially designed Bearing carrier to insure this kit will handle the roughest terrain. 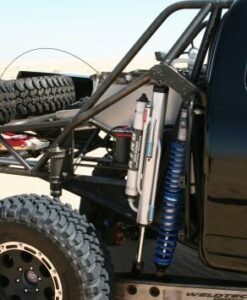 The upper control arm has two options. 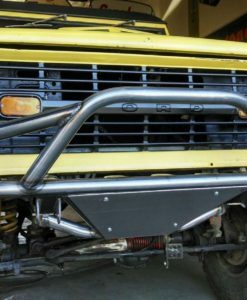 A cromolly boxed A-arm or a CNC machined Billet aluminum J-arm that use two � heims to mount up in the new mounting brackets that weld to the frame. 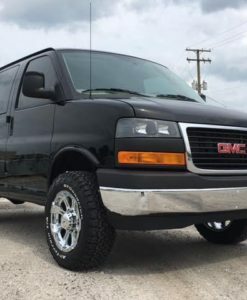 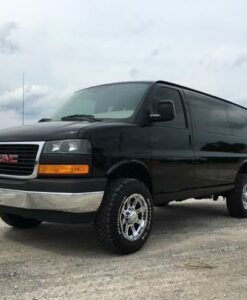 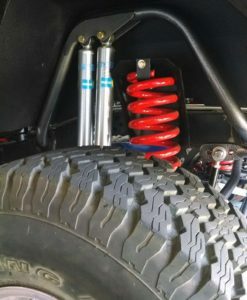 The stock steering arms and rods are replaced with our custom tie rods that include a machined adaptor which threads into your stock rack and pinion to mount one of the two �� heims and cromolly tie rods. 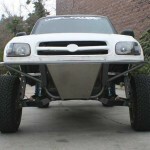 A custom motor cage is constructed to mount the two King 2.5×12 dual rate coilovers. 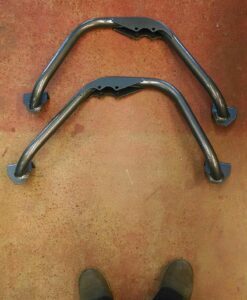 To finish the kit we include limit straps and steel braided brake lines.